Switzerland ranks #10 in the number of newly awarded charters in the world. As headquarters of the many venerable swiss banks, this country values highly trained professionals such as the CFAs. Do you want to join the community and start the CFA journey? 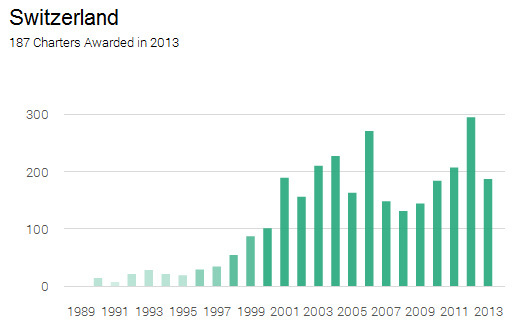 Here are some statistics on the number of CFA charterholders, where they work, and how to become a CFA in Switzerland. Switzerland is one of the earliest countries outside of the US to have a sizable number of CFAs. Given the size of the country, the number of new CFAs have more or less stabilized, but it remains one of the top 10 countries for new CFAs. Asset management plays a very prominent role in Swiss banks. 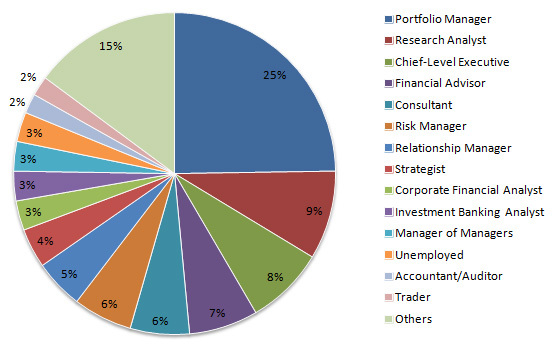 It is therefore not surprising that portfolio management is the number one profession for CFA in Switzerland. There are fewer research analysts in comparison to the global average, possibly because Switzerland is not a big regional office in investment banks. The CFA careers are quite diversified with good representation as chief level executives (mainly CFOs and CIOs), financial advisors, consultants and risk managers. There are likely professionals in hedge funds, fund of funds and boutique investment houses in the “other” category as well. To become a CFA in Switzerland, you should start enrolling in the CFA program which is the same around the world. The eligibility is simple enough: all you need is a bachelor degree in any major, or 4 years of working experience in any field. 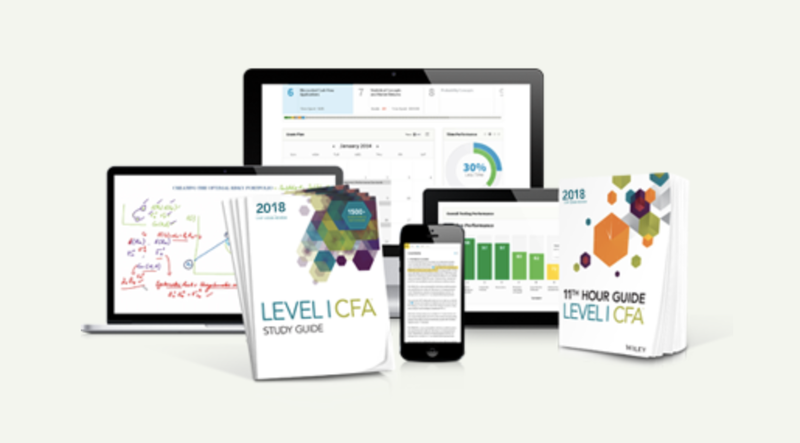 After the enrollment, you can start preparing for Level 1 of the CFA exam and schedule to take the exam in June or December. There are three levels of the exam and must be taken in sequence. Level 2 and Level 3 exams are available once a year only in June, and therefore it will take you a few years to complete the program. There is also 4 years of working experience requirement but you have the flexibility in accumulate the experience before, during or after the exam. Candidates can take the June 2014 CFA exam in Geneva or Zurich, but the December exam is only available in Zurich. Here are other CFA exam locations by country if you are unable to sit for the exam in Switzerland. The exam is held on the same day and is the same around the world. 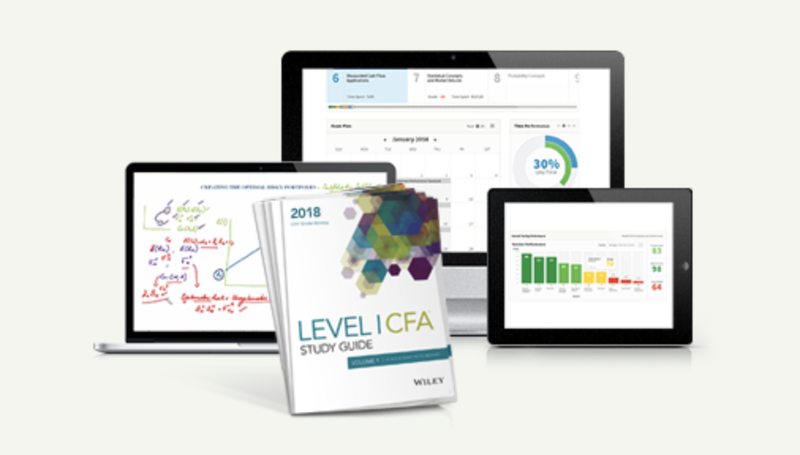 You may want to do further research using this frequently asked questions page, or this other page on how to become a CFA. Good luck!